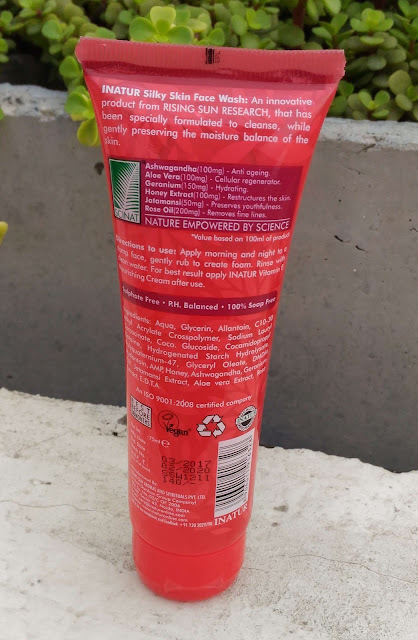 Once you open the flip open cap you are welcomed by rosy-breezy fragrance of the face wash. The face wash is clear, transparent gel with pink granules that melts easily once you lather up. You need a little more than any soap based face wash for one time usage. The face wash has rich rose fragrance and feels like enriching experience when you wash your face. 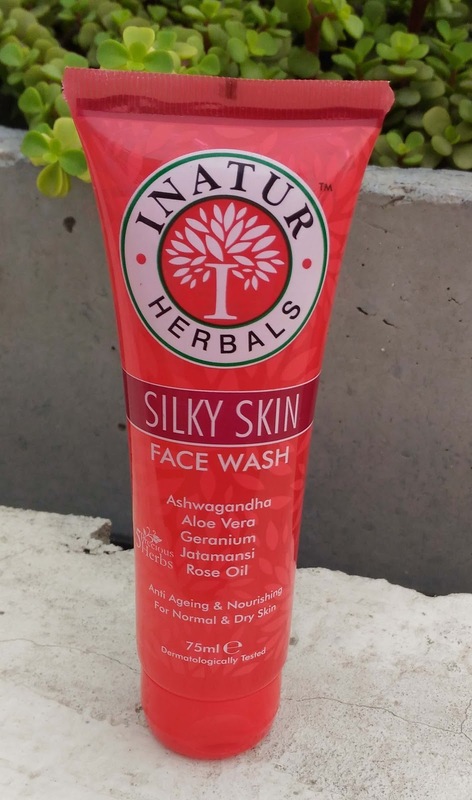 Inatur Herbals Silky Skin Face Wash is mild on skin, cleanses it well and leaves skin nourished and moisturized. This face wash also has some anti-ageing properties. Because of its moisturizing properties this face wash is apt for normal to dry skin people. Oily skin people can consider only during dry winters. Let me be honest with you here you can only judge a face wash by its cleansing and skin treatment properties. You can’t determine if this is really helpful for the anti-ageing part or not. If anyone is stating in their review, than he/she is just making this up. Price wise also this is affordable. A 75ml of Inatur Herbals Silky Skin Face Wash tube is for Rs. 140 only. Overall it’s a good face wash to consider. I love trying new products as I feel that every good product will give something new to your skin and also new products keeps me happy. You can consider Inatur Herbals Silky Skin Face Wash if you are planning to buy a new one.